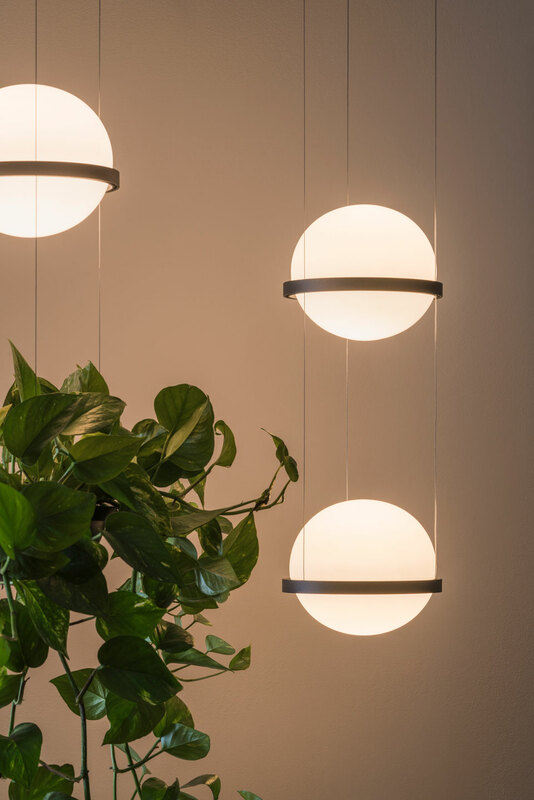 Inspired by ancient hanging gardens, designer Antoni Arola created the Palma collection for Vibia with the idea of connecting light and vegetation as in the natural world. Two glowing semi-circles of blown opal glass joined by an aluminum belt recall the shape of the earth—an organic design that accommodates greenery along its axis. With Palma, plants that one typically associates with an alfresco setting take pride of place indoors, creating an interior landscape to rival an outdoor one. Especially during the dark days of winter, cultivating a garden within the home offers a welcome touch of the natural world. An assortment of vegetation held aloft by a luminous form, Palma is “a landscape project that develops over time,” says Arola. 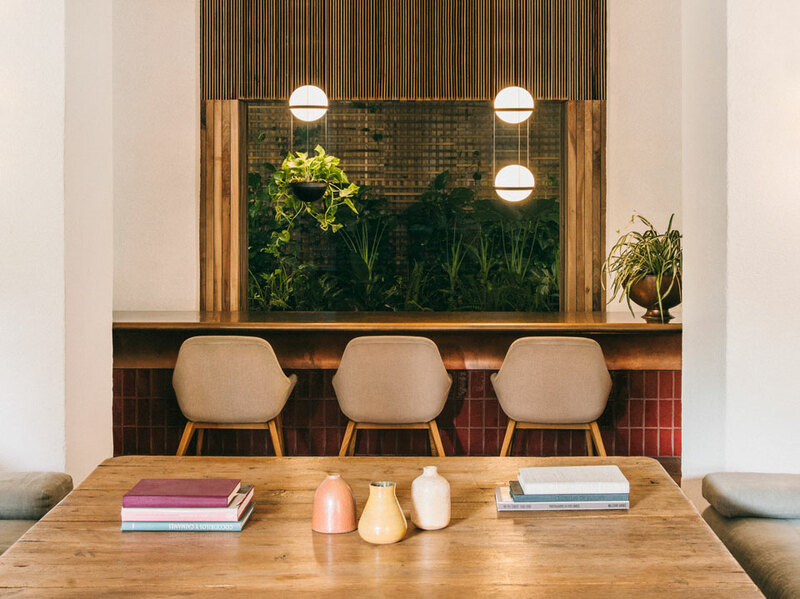 Multiple Palma lamps and plants can be combined in vertical or horizontal configurations, the integrated light and vegetation climbing a wall or hanging overhead from a nearly imperceptible cable.